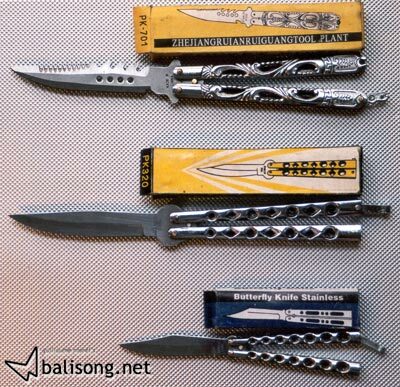 American Balisong are easy to find on the net : Benchmade (the best quality brand), Jaguar, Bear are the most famous balisong cutleries. But the Asian & European productions are less famous. 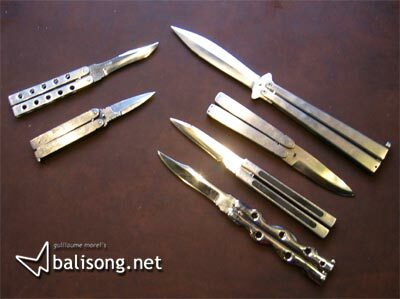 Balisong at the Bastille ! In Paris, near the Bastille square, a weapons shop proposes very interesting balisong, particularly Titanium models made by East Europe knife-makers... if you pass by Paris, do not hesitate, visit Armes Bastille (61 rue de Lyon 75012 Paris)! 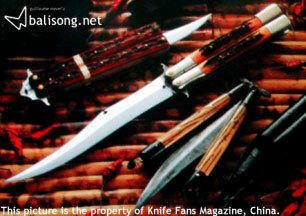 I discovered these exceptional balisong in a Chinese knives magazine. 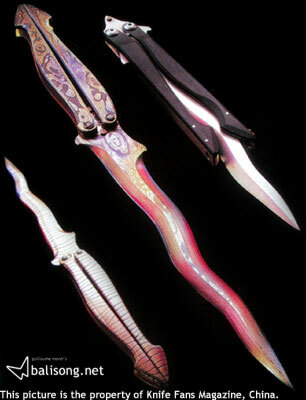 They're from a Japanese knife-maker called Shimada Suguru who get inspired by one of his favorite animal, the Snake. More informations on Shimada Suguru's knives here. The Herbertz model which was the exact copy of the recent Jaguar model has a brother, with a superb Tanto blade... Thanks to www.slashclub.net for the info! 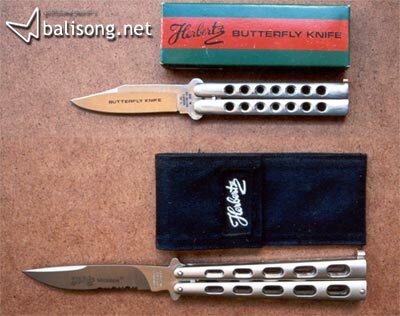 In the eighties, balisong fans may remember a quite special French balisong which imitated 2 pens. It had been released under the label "Barillet". His maker, Mr Jean-Pierre Barillet has recently created a new model, always special, in pure silver, called "Marquis & Bergère". Congratulations to this French initiative!!! Herbertz is a German brand. 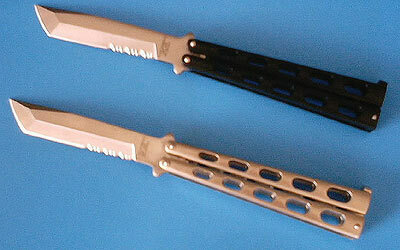 They used to make balisong for years. The small model above, dates from the 80s (I bought it in 1986, it was my first one). The second model is very similar to the Jaguar. China has many unknown resources. 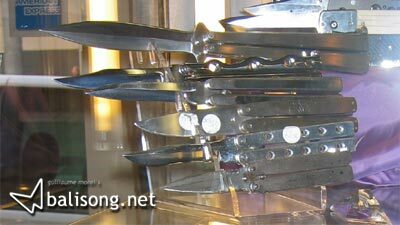 On a street market in Shanghai, I found those knives, the quality of which is poor, but the price almost null. The PK-701 is quite resistant, with a strong original blade.